Custom TrailHeads products deisgned to meet your business' needs! Do you have a running team? Are you organizing an upcoming race? Or do you want hats or gloves for your company or club? We look forward to the opportunity to create a look that’s uniquely yours. We can customize a variety of our styles using heat transfers or embroidery. our gallery of past projects! How much do custom orders cost? The cost varies based on your specific project. Factors include the specific style you select, the desired quantity, the complexity of the artwork and the number of locations that you want decorated. We can provide you with an exact price once we receive your artwork in vector format. Upon receiving your artwork it may take up to 3 days for us to have a fully prepared quote. When placing a custom order we charge 50% upfront and 50% prior to shipment. We accept Visa, Mastercard, Discover Card and PayPal. What are your order minimums? For multibands: 500 units; we can accept orders below the 500 unit minimum, however an additional surcharge will be added. How long does customization take? Typical lead time is 3-4 weeks, but we will give your project an individual estimate when you contact us. What types of customization do you offer? We offer heat transfer, embroidery, or patches. A heat transfer is when your design is printed on a piece of vinyl and transferred onto the product using a combination of heat and pressure. The design lies flat on the exterior of the product. We typically use silver reflective for heat transfer designs. Heat transfer is not suitable for fleece items. Embroidery is a good choice when you are customizing a fleece item or your design has multiple colors. Embroidered patches work well when your design has a large stitch count. If you are unsure what style to choose we are happy to recommend a type of customization based on your artwork. Do I have to choose from your available product colors or can I customize those as well? We highly recommend choosing from our available colors. We have a wide assortment of style and color combinations to choose from. However, for a large enough order, it is possible to choose your own colors with a few of our styles. Customization of this kind requires a longer lead time and a larger minimum order. For details on this kind of customization please email us at design@trailheads.com. What is vector art and why is it necessary to provide my artwork in vector format? Vector art has a file extension of .ai or .eps. It is used by designers to resize and scale images without loss of quality. When we have your file in vector format it ensures that the color, font and other details of the design transfer correctly, so your work comes out exactly how you planned! How complicated can my design be? We want you to proudly express yourself on your custom TrailHeads product and be happy with how it comes out! That being said, keep in mind that we are designing on hats and gloves with fairly small surface areas. If your design has too many elements it may become hard to see.More complicated designs can also be more expensive. Need help with planning your design? Contact us at design@trailheads.com. If I need less than the minimum order requirement but I really want a TrailHeads product what are my options? We would love to be able to customize for everyone, but we’ve made the decision to establish minimum order quantities due to the cost of setting up and processing custom orders. 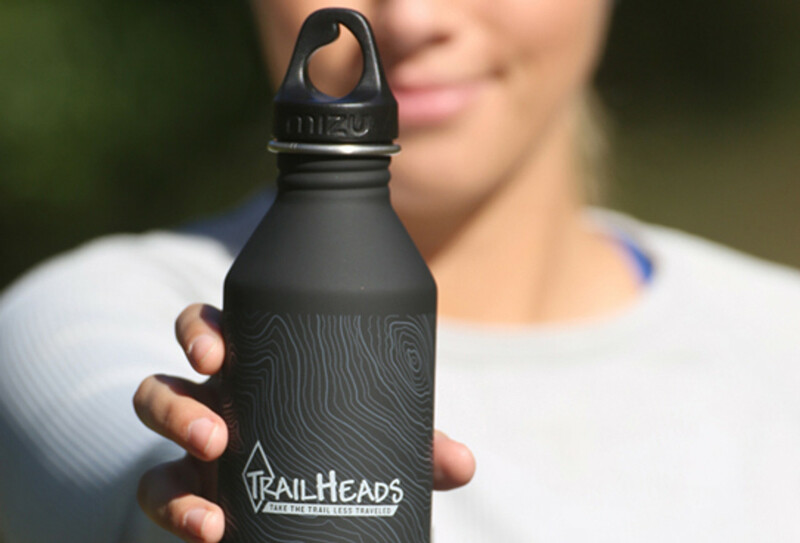 If you can’t meet our minimums, a great option is to buy our TrailHeads products at the number you need and then have them customized at an embroiderer local to you! Local embroiderers are often capable of working on smaller projects. We offer discounts off of our standard pricing for orders starting at 24 units; contact support@trailheads.com for more information. Can you customize gloves? Are there any products you cannot customize? We can customize gloves, typically using the heat transfer method. It is also important to note that when designing on gloves we typically only put artwork on one hand. Designing on both hands requires twice the artwork to be prepared and applied and will increase the price of your project. We have the ability to customize the majority of our products, but there are a few, such as our Space Dye and Cable Knit Collections, that we are unable to customize. For our most popular products for personalization see our list of recommended styles. How do I show TrailHeads (and the world) how awesome my design came out? Well, obviously you wear it all day, all the time, but on top of that connect with us on social media and show us using #trailheadsct. HAVE MORE QUESTIONS? NEED HELP WITH ARTWORK?